Pace yourself with the music beat at the open capacity of our lobby lounge, the ideal place for business chats or simple friend gatherings. 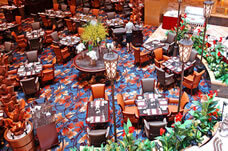 A romantic site where offers buffet breakfast and you can overlook the vibrancy of the city while enjoying your buffet dinner. 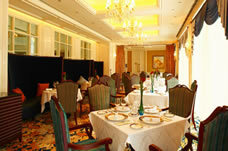 Experience the authentic elegance of fine French cuisine here at the L'ile de France. 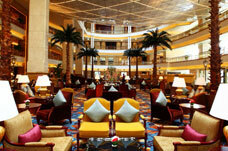 Its extensive list of wines is sure to impress you. L'ile de France is overseen by Mr. Robert Lucien Caillault, a member of Maitres Cuisiniers de France, who boasts 50 years of experience. Mr. Caillault had worked with Okura Hotels and Resorts for a decade, during which period he had contributed immensely to the popularization and promotion of French cuisine in Japan. 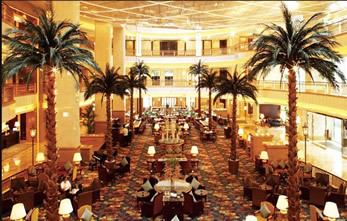 Another highlight of Grand Central Hotel Shanghai is the floating oval ballroom within the hotel building – Shanghai Grand Ballroom, which likes a shining star in the dark night. 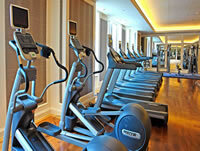 Its state-of-art design inherits the perfect combination of modern technology and the essence of classic elegance. 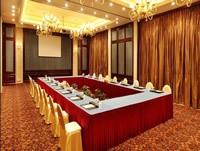 Not only have we a 400m2 plus ballroom foyer, but with our Multi-decor function rooms which come in different sizes, all of your venue selection will be a guaranteed satisfaction. 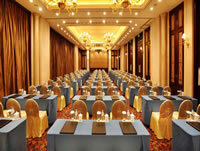 With pillar-freed and an astonishing 7-meter floor-to-ceiling room height, the entire ballroom offers world-class meeting facilities. 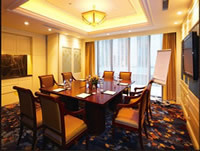 No matter what type of meeting you’re planning, Grand Central Hotel Shanghai has all the added touches to make it stylish and unique. Business centre, concierge, 10 direct high-speed guest elevators, a 3-floor underground car park which is big enough for up to 150 vehicles.